Ringtone Expressions is the fastest, coolest way to get ringtones on to phones. 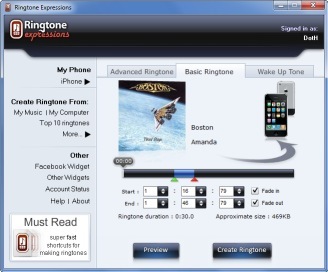 Welcome to Ringtone Expressions, the ultimate way for you to create and express your ringtones . It lets you create your own ringtones from the music files in your music library. It Supports all modern day smartphones.